This family was such a breath of fresh air and a reminder of why photographing families makes my heart so full. 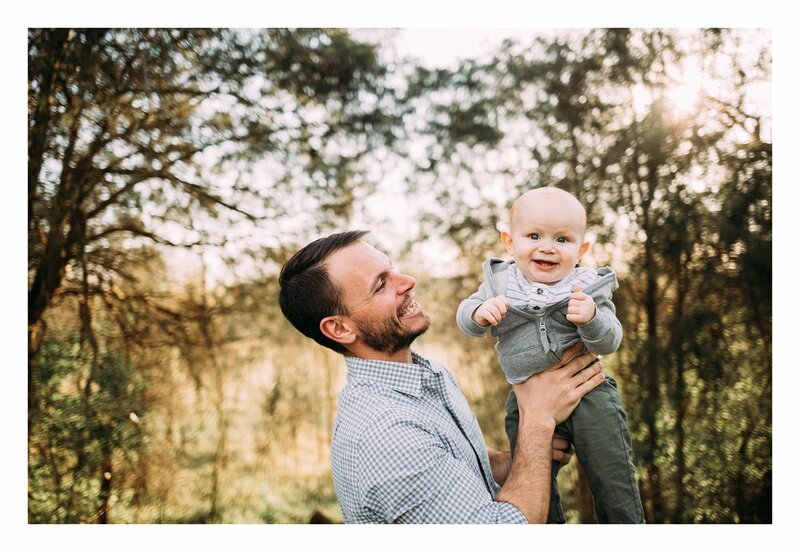 Mindy contacted me months prior to their session and informed me that her husband, Jake, would be deploying in late April and it was important to them that they had family photos taken before he left. I knew right away I'd make it work, no matter what. It didn't take long for me to notice that these four have an indescribable bond. I barely had to direct them as they laughed with and loved one another effortlessly. The connection these parents have with each of their children was so heartwarming.. The way Case sat and played with his dad's dog tags and the way Kaylen sat in her dad's lap, looking up at him as he counted the pretty freckles on her face.. The silly and sweet stories that Mindy whispered in Kaelyn's ear that made her giggle and cuddle up next to her, and the precious squeezes and hugs Case gave his mama... These are only a few moments I was privileged to witness and capture for this family. I can only imagine all the countless other moments this family treasures together. Mindy and Jake's strength as partners and best friends is inspiring, and the love they pour out to one another and their babies is too special to put into words. I am blessed to have met them and and to have learned from them in the short time we spent together. Let's not take lightly the sacrifice that our brave servicemen and women (and their families) make as they do what's needed to protect and keep us safe. I'm truly thankful, and my thoughts and prayers will be with this family over the next year and can't wait to photograph them again once they are are all back together! With Mindy's permission, I'm sharing some of her own words about her sweet family, the life they share and their journey together. You always have a choice. That choice always has an outcome. That outcome can only be determined by your choice. Never would I have thought the my choice to marry Jake Niehaus would have such an amazing outcome. Nearly 6 years of marriage and 2 babies later we have never been so close. We work as a team to accomplish everything; and stopping to smell the roses along the way. Our journey is just beginning, this next year will not be the most difficult. With God to lean on and Jake at "my side" all thing are possible. We refuse the be held back and plan to surpass all standards.